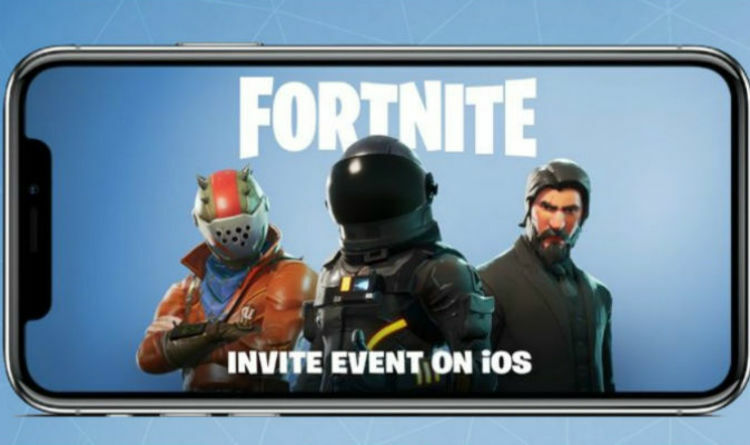 Epic Games have announced they are now activating Fortnite Mobile on iOS. That means the first players will be getting their chance to try out Battle Royale on iPhones and iPads very soon. And if you want to check out if you’re one of those lucky few, the first step is by looking at your email. The Fortnite App won’t be available to everyone, instead, you’ll be sent an email notification with a download link. This download link will take you to the iOS App Store, although you should be careful that what you have is an official email from Epic Games. If you haven’t received one of these invites, then you’ll have to wait until the second wave of invites. There’s also the chance that one of your friends has made it into the pilot program first. If this is the case, than they could also receive a friend code, which they could pass onto you to use. Factors that contribute to the order in which players receive invites include sign-up order, proximity to a data center, and device model. To participate, you’ll need an internet connection and iOS 11 on at least an iPhone 6S/SE, iPad Mini 4, iPad Pro, iPad Air 2, iPad 2017 devices or later. The good news for those Fortnite players coming late to the part is that the game will eventually be open to everyone, regardless of having an invite. As soon as Epic Games are able to handle the scale of players, the game will be open to everyone. This could be a while as Fortnite Mobile is expected to be very popular, players will be able to use the game across all their accounts. This means that progress will be shared regardless of what platform you’re playing on. This will be a huge boon to those currently upgrading their Battle Pass to unlock new loot. iOS users can sign up for the Fortnite Mobile gameplay test by following THIS LINK. And while the release date remains a mystery Epic's track record of delivering speedy updates means that fans shouldn't have to wait too long to play Fortnite Battle Royale on iOS. In the meantime have been warned against clicking false download links. "We have not sent out any mobile invites yet. Please be aware of false mobile download links. Our official URLs are Fortnite.com and Epicgames.com." Fortnite Mobile is described as the full Battle Royale experience with no compromises. It features the same map, the same content, the same unlockables, gameplay and even the same weekly updates.